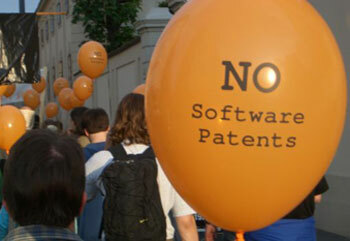 The New Zealand government is supporting a Patents Bill which will ban the patenting of software in New Zealand. To clarify, embedded software may be OK, but it appears that patent applications related to pure software will not succeed. This will come as music to the ears of the many opponents of software patents around the world who have long said software patents are an aberration in the context of wider patent and IP law. For those looking for some background on the issue, VC and tech writer Brad Feld recently posted a great video on why software patents are so absurd. It’s well worth watching, but a touch long, so allow me to summarise. Much of the problem comes down to the fact that what’s actually being patented in many cases is the same stuff in different contexts, and worse still that “stuff” is often just simple mathematics. As an analogy, it would be like someone patenting 1+1=2 as a method for counting how many accountants are in a room when one is joined by another. Then someone else patenting that same formula for counting how many coders are in a room when one is joined by another. There’s also the other obvious point that software patents are used as a form of bullying and also raise the cost of business (and as such the cost to the consumer) as businesses continually enforce and defend claims. There was some hope that the recent US supreme court decision in Bilski v Kappos would sort out the software patent mess in the US, but as Paul Kedrosky recently explained in an op-ed piece for the Huffington Post, that didn’t happen. That’s not to say that nothing good came out of the decision. The first decision made by the US Board of Patents Appeals and Interferences rejected an application from HP for a software patent by using the confirmation in Bilsky that abstract ideas are not patentable. In other words, they interpreted the application as being an abstraction and then applied Bilsky to reject it. That type of application of Bilsky could be an interesting middle ground as, while it doesn’t stop HP from reapplying, it forces them to either tighten up their application or discontinue their efforts. That in and of itself is a step in the right direction. I should mention that as a trained lawyer I fully understand the reasons why patents exist and the arguments on both sides of the innovation argument, but it seems like reform is needed and it’s great to see New Zealand kicking things off. Now many of you may be saying “bah, New Zealand, so what”, but understand that New Zealand isn’t exactly a tech wilderness. The core of Firefox browser development happens there, ReadWriteWeb Co-founder and Co-editor Richard McManus lives there and the WebStock tech conference gets some of the biggest names in tech to make a long-haul trip simply because of the quality of the event. Sometimes all it takes is a country like New Zealand to make the first move for others to follow.